Fermentationexperts started out as a consultant on liquid feed fermentation. Since 2007, however, we have been working on the development of new ways to exploit the potential of the technology. Fermentationexperts is an innovative company with operations in Europe and the United States. We believe that fermentation is the feeding technology of the future for poultry and pig farmers, and we continue to develop new areas where fermentation makes sense – for the individual farmer’s finances, for the health of their herds, and for the environment. Our strategy is to be located close to the raw materials so that we can keep our production costs as low as possible and remain highly competitive on the market. Throughout its history, Fermentationexperts has worked hard to build up knowledge about fermentation, both in theory and in practice. We are happy to share our knowledge. Please feel free to contact us. 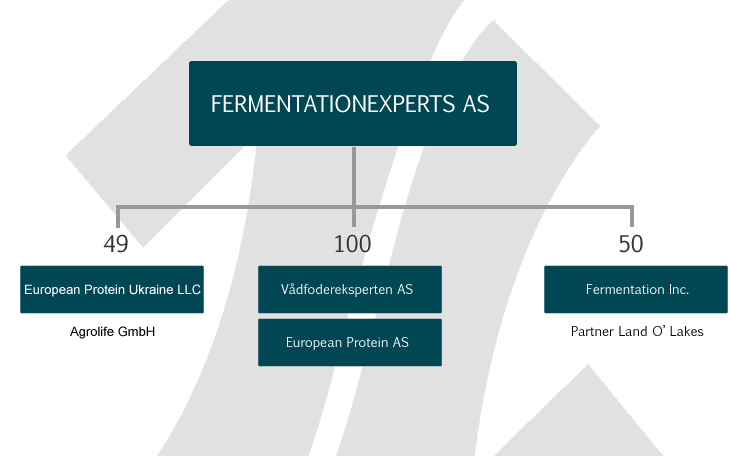 Fermentationexperts’ subsidiary Vådfodereksperten AS is selling fermented by-products from food production to Danish farmers with liquid feed plants and fermentation plants. Data sheet can be found here. Our ISO 22000 certificate can be found here.